Death is an unfortunate aspect of everyone’s lives. When it happens, it is unexpected and many people’s situations become turned on their heads. One of the most stressful issues to some is that of property and taxes that get passed on to successors. Having a deeper understanding of the issues is key to helping your family face them calm and collected when the time comes. Here is some property tax information that can get you on the fast track to understanding taxes after death. What Happens to Your Property After Death? When a loved one passes away “intestate,” not only is their property divided up based on state mandates but so is any other asset a person owns at the time of their death. What Do Successors Take Over as Far as Taxes? While the thought of “intestate” standing may be frightening to you and your loved ones, it can be avoided. With estate planning, you and your family can come up with a succession plan that keeps your assets where you want them. There are some tax implications involved with proper estate planning that we think need to be clearly understood in order for a smooth transition. Property tax situations really depend on how old a successor is, among other circumstances. In Texas, if a homeowner is 65 or older and/or disabled, they are able to defer property taxes based on their homestead status. Although a person under this status can defer property taxes owed as well as lawsuits to collect property taxes, this standing doesn’t last forever. Keep in mind that once an elderly person dies the estate is now responsible for paying taxes, interest, and penalties involved. If the estate is unable to pay these taxes, then the county or taxing authority becomes a creditor and can sell off the home in order to collect what is due. 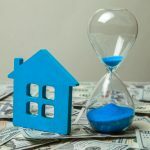 However, if the successor is a surviving spouse between the ages of 55 and 65, they can continue the former exemption through a homestead application of their own. Do Property Taxes and a Recent Death Leave You with Questions? The Hegwood Group Can Help! Even with a well-formed estate plan in place, an unexpected death in the family can bring up a lot of questions during tax season. Don’t let your family fall under any more pressure than what they already have. Get in touch with The Hegwood Group today to find out about how we can assist with your property tax questions during this trying time.